At Linmoore Fencing, we do a lot of work for businesses and commercial enterprises that want to keep their facilities safe and secure, ensuring that the only people there are people who are supposed to be there, and that unwelcome visitors are kept out. 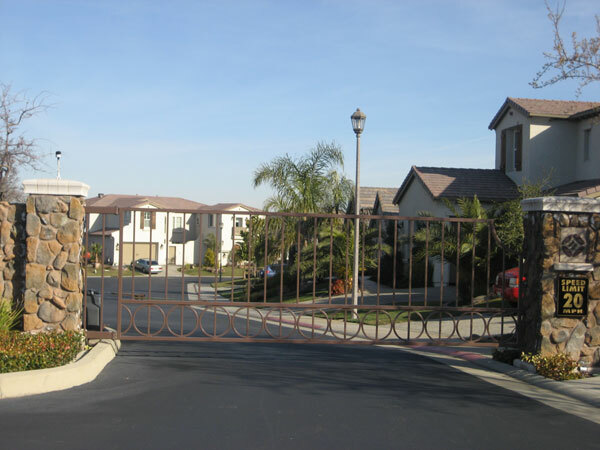 As a result, we are committed to providing the best quality commercial iron gates and iron fences on the market to businesses in the Sacramento, CA area. Your business has unique needs with regards to commercial iron gates, and we at Linmoore Fencing want to make sure that we satisfy all your requirements. Depending on the kind of business you are, your gate requirements will vary, and we provide options for all your different needs. For example, you may have a high-security area that only certain people are allowed to come in. For this purpose, you will probably want a keypad entry gate, which employees and personnel can enter a passcode into; you may also want a remote entry gate where only people who have the proper remote control device in their vehicle can click the button and open the gate. We can even provide gates that work with ID badges, so that people have to have the proper ID to get into the gate. On the other hand, you may have a business that is not high security, but that you want to be able to lock at night after business hours are over. In this case, you will probably want a motion-detector gate that automatically opens when a car is in front of it. This will allow employees and customers to enter and leave at will, but will still keep your business secure when you lock up and leave at night. If you want a notification when anyone goes through your gate, we can provide that as well, and we can set up an alarm to ding whenever the gate opens or when anyone drives through your open gate.